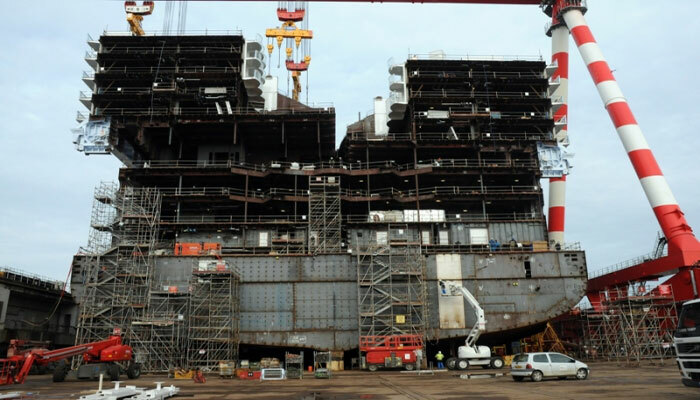 Royal Caribbean have released new photos from the French shipyard where the third oasis class vessel is being constructed. Not much information has been released yet but we do know that the ship will make its debut in April 2016 so expect more details to be released by Royal Caribbean over the coming months. The ship will feature seven distinct themed areas just like her sister ships. Also we’re pretty sure Royal Caribbean will offer something innovative and new to the cruise industry. Cruise Hive will keep readers informed as new details are released but until then feel free to post in the comments below about what you would like to see featured on the Third oasis class ship. 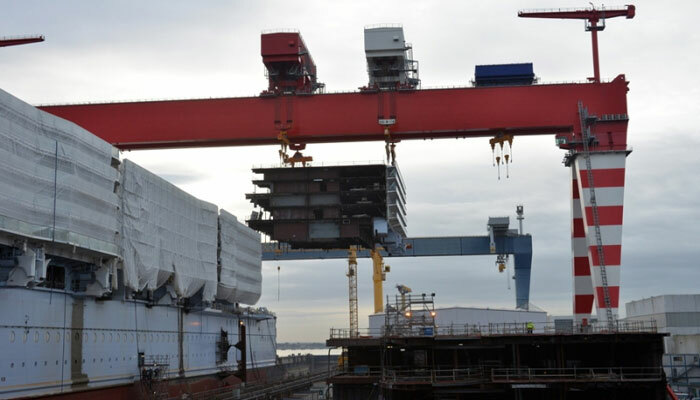 Seabourn has picked names for two ships that are due to be delivered in 2016 and 2018. 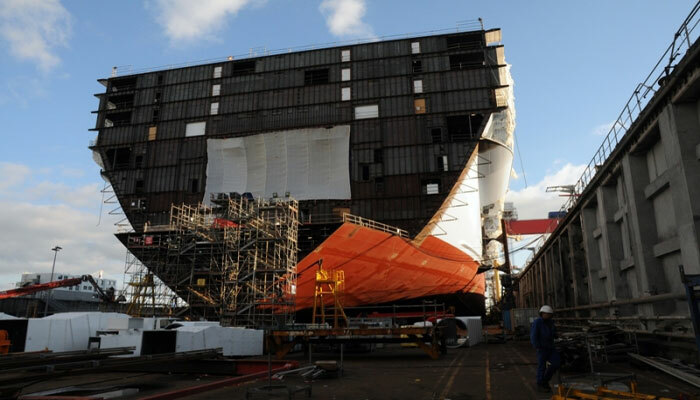 The earlier arrival of the two will be called Seabourn Encore, and the later arrival will be Seabourn Ovation. 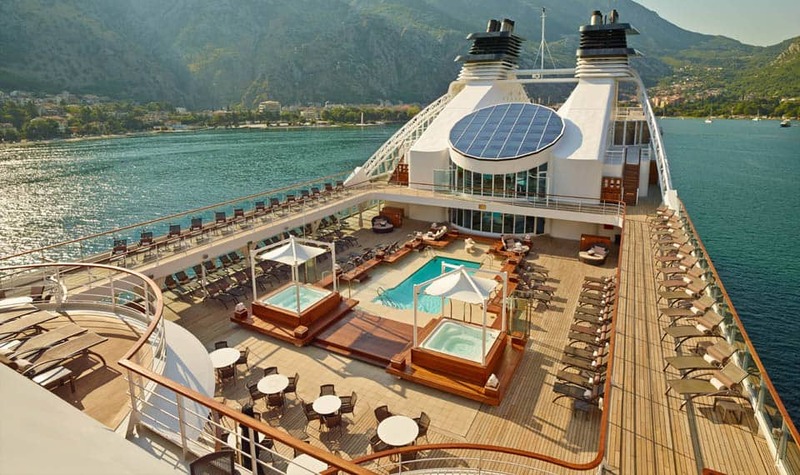 The two ships will join Seabourn Odyssey, Sojourn and Quest in the luxury line’s current fleet. The new ships will have an extra deck and expanded public rooms, enabling them to carry 604 passengers at double occupancy, rather than 450. When Royal Caribbean’s Quantum of the Seas made its November debut, almost lost in the crush of technology firsts was the ship’s photo gallery, the first all-digital display space at sea. Quantum guests don’t stroll past walls of glossy prints, peering to see which ones might include them. Instead, they check digital monitors, which shorten the hunt for relevant photos. On the Quantum, images are developed and printed only when guests see a photo they want to keep. The system is a leap forward, said Brynley Davies, managing director of the Image Group, the concessionaire for photography on Royal Caribbean’s global fleet of 22 ships. 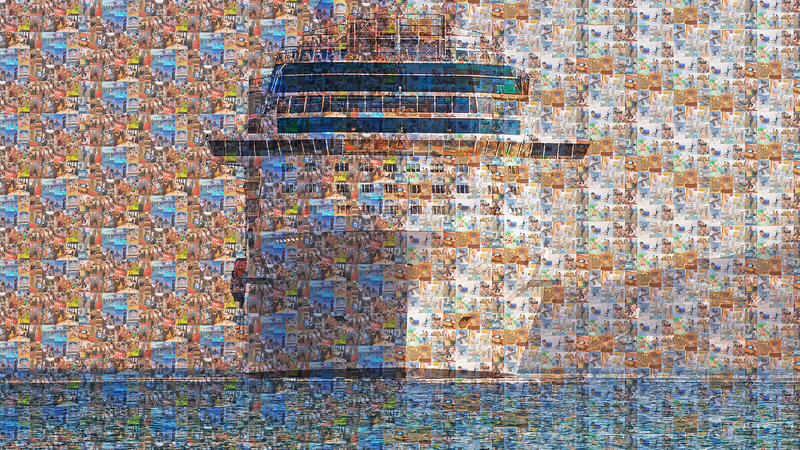 Across the industry, cruise lines are dashing to keep up with digitization of photography, which has brought sweeping changes to the way people take and store images. On land, it spelled the end of everything from Kodachrome film to Polaroid cameras and one-hour photo shops. At sea, it promises to slash the amount of wasted paper and chemicals used in cruise photo operations and do away with the ubiquitous floor-to-ceiling photo display wall. The transition to digital is happening as fast as cruise lines can figure out how to do it properly. Every major cruise line has a mix of advanced and legacy photo systems, ranging from the all-digital vanguard on the Quantum to the traditional print-everything model on many older ships. But digital will eventually rule because it offers benefits to every cruise photo operation, and consumers are comfortable with it. If for no other reason, cruise lines would embrace digital because of the growing size of new ships. Photo managers say it has become increasingly difficult to display on a wall all of the images on ships that are carrying between 3,000 and 5,000 passengers each week. Some cruise lines had begun to adopt a folder system to cut down on the need for display space. Going digital simplifies the photo search process and frees a wall’s square footage for other uses. 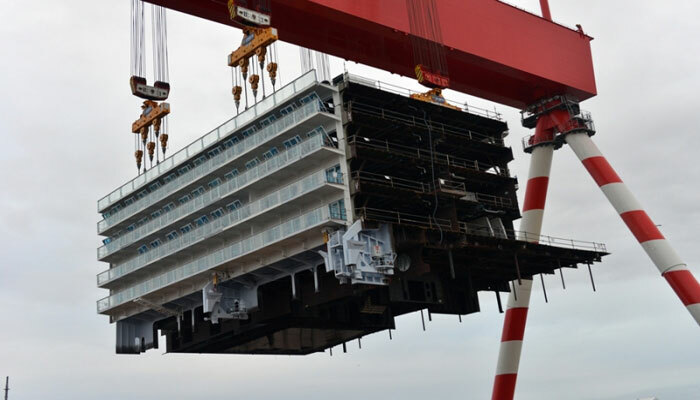 The photo gallery on the Quantum is 50% smaller than a traditional one on a ship of comparable size, Davies said. A second benefit of going digital can be found in the print savings, both economic and environmental. Although he didn’t quantify the amount, Davies said the fully digital gallery on the Quantum will use much less photographic paper. Many of the prints in a traditional photo concession aren’t even viewed if the guest has no desire to buy photos. Henceforth, none of those images will be printed. 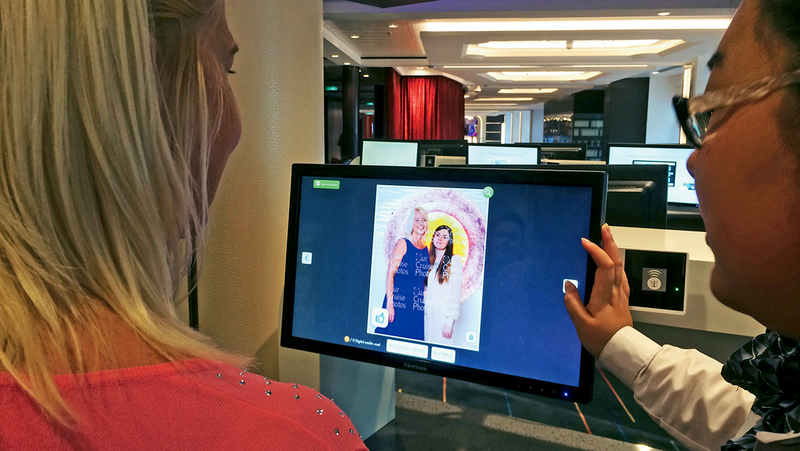 Guests of the Quantum of the Seas and Anthem of the Seas can use their WOWbands in the Focus Photo Gallery to digitally access and print on demand their professionally taken photographs, significantly reducing preprinted photo waste. The classic print process also requires photo chemicals that produce “a waste stream that has to be removed from the ship and disposed of in an environmentally safe manner,” Davies said. On the Quantum, instead of wet-processing, Image Group uses a dry-process inkjet printer, an industrial-grade version of the printer technology that many consumers have in their home or office. 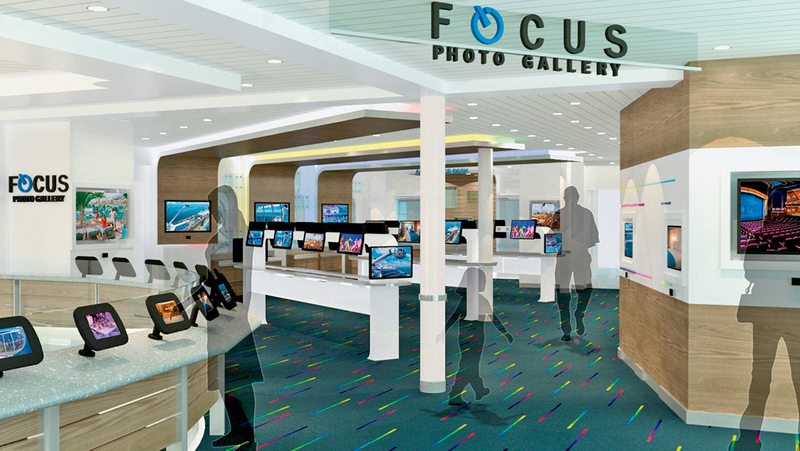 The Quantum’s photo space, with 35 touch screens, 15 tablet-size devices and eight digital photo finders (that help find hard-to-track items) represent the state of the art in photo galleries. Most of Royal’s ships are more retro. The relatively new Oasis and Allure of the Seas have 22 digital kiosks where guests can view, manipulate and purchase photos. But Image Group also prints all the photos taken on the Oasis and Allure, although it puts them in folders organized by cabin, rather than displaying them on a wall. The print-and-display galleries will remain on many older Royal ships for some time, Davies said. At Carnival Cruise Line, a transition is also underway. It will be testing digital packages that work with its current print model on one ship this winter to gauge consumer response and demand. Guests will have the choice of one of three packages, enabling them to buy either a set number of images or all the images taken on an entire cruise, delivered on a USB thumb drive. Carnival said the digital images will be a better value on a per-file basis than the current pricing offered by prints. Like many other cruise lines, Carnival also offers a DVD of each cruise that includes brief glimpses of many guests, along with footage of the cruise, its destinations and live events. 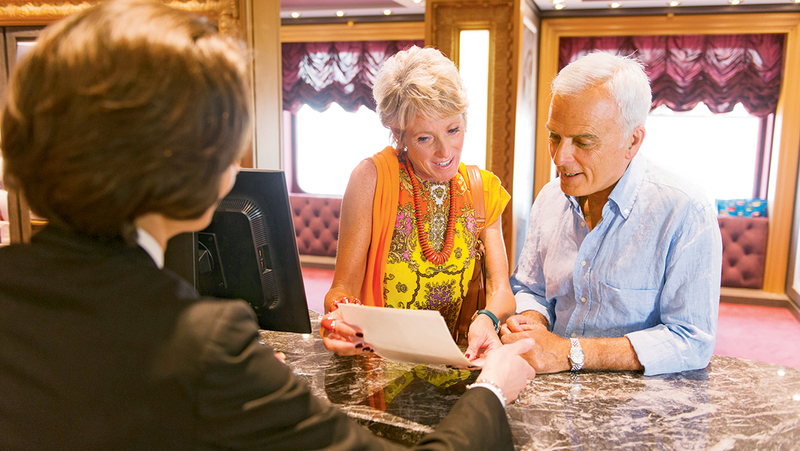 Many cruise lines have found that guests are asking for fewer photos than in the past, when cruise ship photographers could count on a steady stream of orders each voyage. Today, with almost every guest equipped with a digital camera or a camera-capable smartphone that takes quality pictures, many guests are opting to snap their own photos, driving down demand for the professional variety. One response has been to change the type of photo that onboard photographers shoot. While they still do embarkation, gangplank and dinner photos, there’s less emphasis on those because they’re the type of images that consumers can take themselves. Instead, Miller said, the Ship’s Photographer is taking more studio-quality photos with professional lighting for a customized album that tells the story of a passenger’s cruise. The album blends photos of the passengers with stock shots of the ship and port destinations, tied together with a narrative written by professional copywriters. If a special enrichment speaker or performer is on the ship, it might include a page about them. There’s been an upswing at many lines in the use of spaces around ships during the evening to do more personalized photography. “Usually there are four to seven studio locations throughout the ship and more than 34 backdrops we are using,” said Laszlo Keresztes, operations and development manager for MSC Cruises, in Geneva. 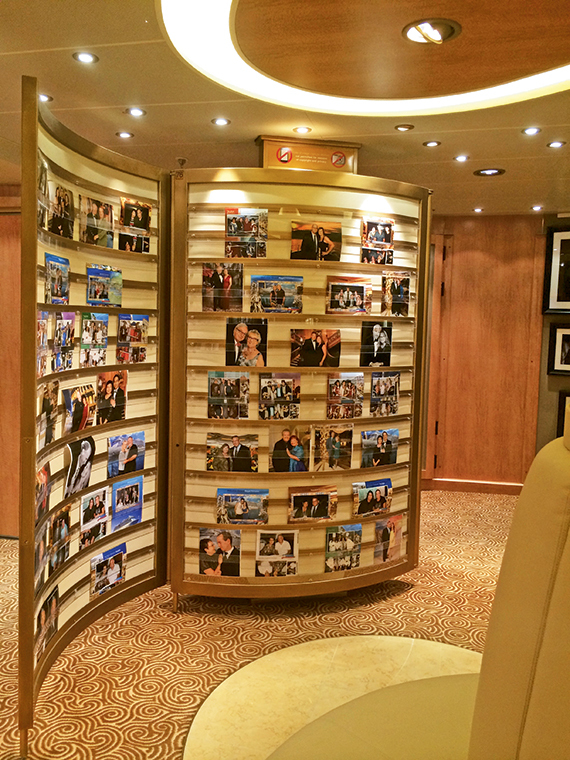 Aboard the MSC Divina, a couple chooses photos to buy. Usually there are four to seven studio locations on an MSC ship. And many lines have also carved out space for a high-end custom portrait business. Carnival has Dream Studios, Princess Cruises has Platinum and on Norwegian Cruise Line, it’s called Perspectives. Despite prices that can run past $1,000 for some packages, Ross Henderson, vice president of onboard revenue and shore excursions at Norwegian, said demand is there and growing. To further differentiate its photo offerings from those taken on smartphones, Perspectives takes photos that work together in a cluster or mosaic of images on a wall. So, for example, the “Verve” collection groups 11 mounted images in a larger wall ensemble that works as a unified grouping, for $1,399. Photos are shot on the cruise, and Norwegian works with an outside vendor to have them printed, mounted and shipped to the passenger at home, Henderson said. At the other end of the spectrum, some consumers are opting to purchase only digital images. On some ships, this enables passengers to buy a set number of photos for a fixed price, take them all home on a disc, then choose the ones they like best in a more relaxed environment. Software included on the CD enables guests to unlock the images at home for print or other uses. They can also buy additional images post-cruise using a feature on the CD. Davies described this method as one way to mitigate another common problem: the crush on the last night as everyone tries to sort through and pay for the photos that have been taken over the course of the cruise. 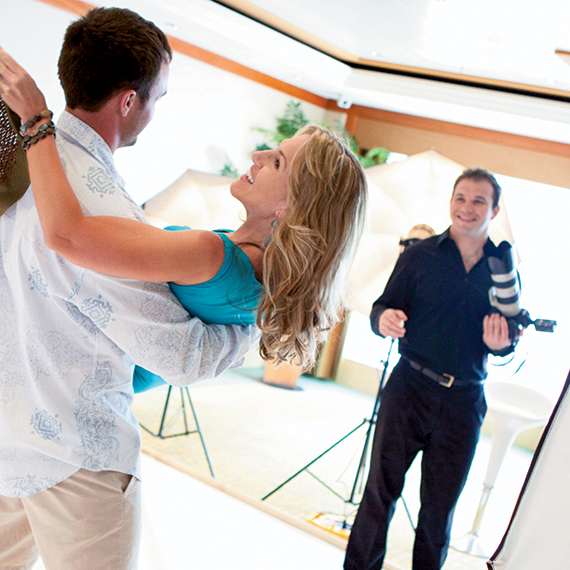 At Carnival, guests are offered a discount if they purchase photos during the first two days of the cruise. Several recent advances go hand in hand with digital images to improve the photo-buying experience. One is facial recognition, or image-matching software, which makes photo searches quicker and easier. Packages from Norwegian Cruise Line’s high-end portrait business, Perspectives, can run past $1,000. Cruise lines are cautiously testing the software, which currently matches some but not all faces with photos, requiring a backup mechanism. Another digital technology that promises to improve the photo selection process is software to electronically link each photo taken to the cabin of the subject. Norwegian introduced such software on the Norwegian Breakaway last year and is rolling it out to other ships, including the Norwegian Star and Gem this year. The system enables passengers to swipe their key card on a device linked to the photographer’s camera, tagging the photo to the cabin. That makes finding the photos in an electronic kiosk much easier. That system, in turn, paves the way for another innovation: being able to choose and buy pictures from a passenger’s cellphone or other portable device. “As you look at how photography is becoming more digital and the technology really does exist to do this kind of thing, it just made sense to create a different system,” Henderson said. “Down the road, the way we see it, we’d like that kiosk to become something transportable via people’s devices.